Preheat oven to 425 degrees. Line baking sheet with parchment paper and spray with 100% olive oil spray. 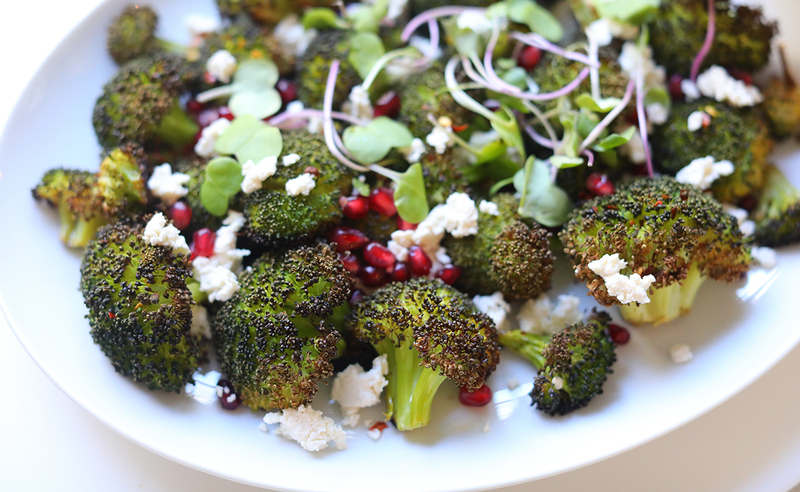 Spread broccoli in an even layer, spray with oil, and sprinkle with salt and pepper. Roast until browned to your desired char. Top with cheese and seeds and serve immediately. *Feel free to sub any crumbly cheese that you like (i.e goat, blue, etc).